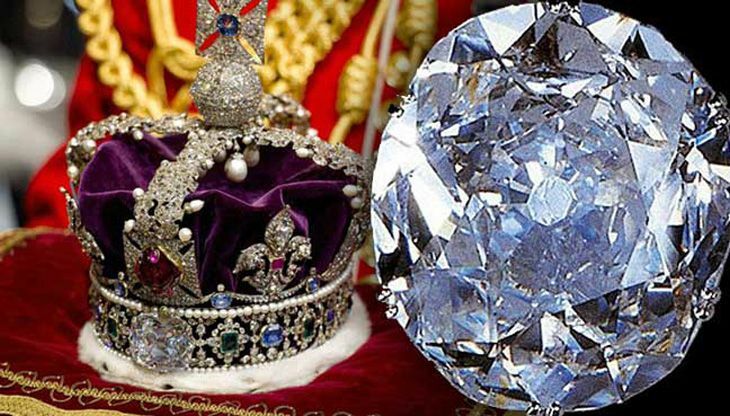 In a blow to India's efforts to bring back the 'Kohinoor' diamond from the United Kingdom, UK Minister of Asia and Pacific Affairs Alok Sharma on 26 July said his government does not believe "there is any legal ground" for restitution of the diamond. "It is a longstanding position of the UK Government that we don't believe there is any legal ground for the restitution of the diamond," said Sharma, the first British Minister to visit India since Brexit. After the subjugation of Punjab in 1849 by British forces, the properties of the Sikh Empire were confiscated and the Kohinoor was also transferred to the treasury of the British East India Company in Lahore. Later, the diamond was shipped to Britain and was handed over to Queen Victoria in July 1850. It was cut to improve its brilliance and was mounted into Queen Victoria's crown. The diamond now sits in the Tower of London, along with the Crown Jewels. The people of India have been demanding the return of the 105-carat diamond, which the British Government rejected in 2013. Stressing that certain news items appearing in the press regarding the Kohinoor were "not based on facts", the Indian government had on 19 April reiterated its resolve to make all possible effort to bring back the Kohinoor in an amicable manner. "The factual position is that the matter is sub judice at present. A PIL has been led in the Supreme Court, which is yet to be admitted. Besides, Solicitor General Ranjit Kumar was asked to seek the views of the Government of India, which have not yet been conveyed," said a government statement. The NDA Government had on 18 April told the Supreme Court that as per the Ministry of Culture, India should not stake a claim to the famed Kohinoor diamond as it was "neither stolen nor forcibly taken away". Solicitor General Ranjit Kumar, appearing for the government, said this was the stand of the Culture Ministry. "Ministry of External Affairs is also a party and their response is yet to come," he informed the court. He also told the apex court that the Kohinoor diamond was handed over by Maharaja Ranjit Singh to the East India Company. Pandit Nehru had also said, "To exploit our good relations with some country to obtain free gifts from it of valuable articles does not seem to be desirable. On the other hand, it does seem to be desirable that foreign museums should have Indian objects of art." However, it may be noted that ever since he has taken over as Prime Minister, Narendra Modi's efforts led to three significant pieces of India's history coming back home, and thus, Indians hope that the Kohinoor would also be brought back from the UK. In October 2015, German Chancellor Angela Merkel returned a 10th century Indian statue of Goddess Durga that was stolen in 1990 and found in 2012 at a museum in Germany. In April 2015, then Canadian Prime Minister Stephen Harper returned a sculpture known as the 'Parrot Lady', which dates back to almost 900 years. Former Australian Prime Minister Tony Abbott, on his India visit in 2014, had returned antique statues of Hindu deities that were in Australian art galleries. 10 things you probably didn't know about Yahoo!